Floral Brooch is an elegant accessory and decorative jewelry material, which goes well with Indian traditional dresses, coat, gown, cardigan, scarf and the likes. 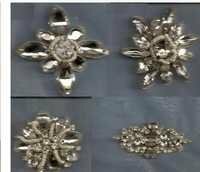 We are one of the leading brooch manufacturers, floral brooch suppliers, and exporters of our domain. In a short span of time, we have become a prominent and most renowned business entity engaged in offering Floral Brooch at industry leading price. 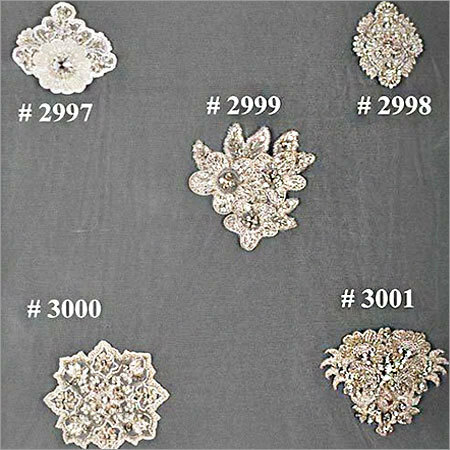 #2649: Fully skilled hand embroidered with sequins.The flower can be used as an applique on bridal gowns and veils. 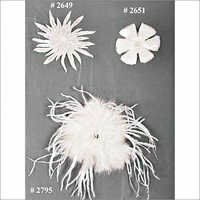 #2651: Fabric flower. 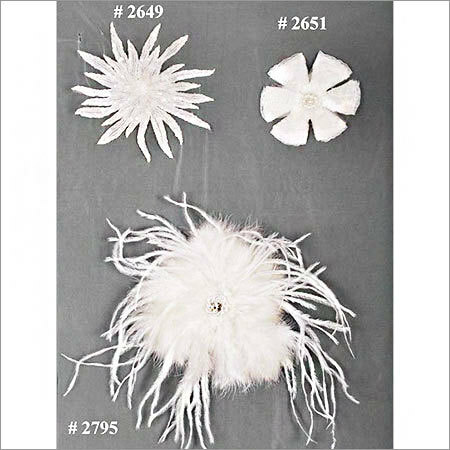 The flower can be used as an applique on bridal gowns and veils. #2795: made up of pigeon Feather. With our prime motto to offer quality assured range of products to clients, we are reckoned among the most reliable crystal brooch manufactures and suppliers of our domain. Our clients appreciate our products for various salient attributes. 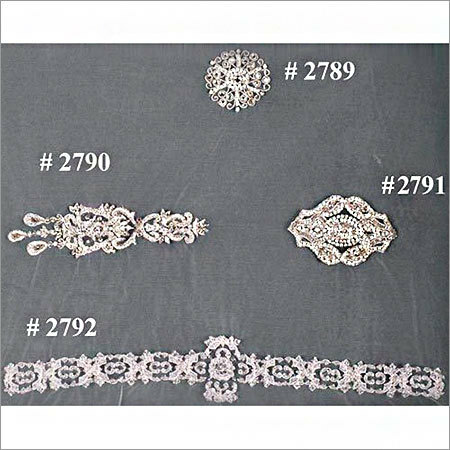 These brooches can be used as motifs to enhance a bridal gown , veil or headband. We are a client oriented company, hence we pay full attention towards client's requirements. We consider all the products specification given by our clients and incorporate them in the course of production. 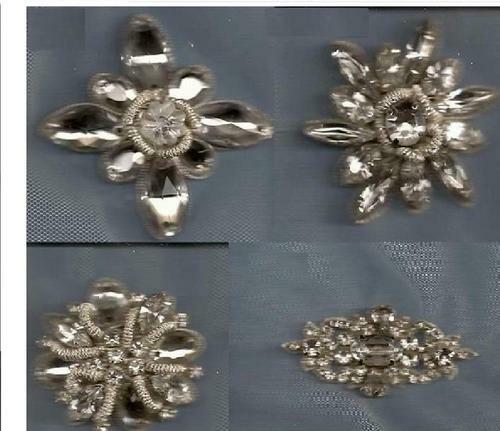 With our business philosophy to offer impeccable quality products and maximize our clients satisfaction, we are engaged in manufacturing, exporting and supping an extensive array of Diamante Floral Brooch. 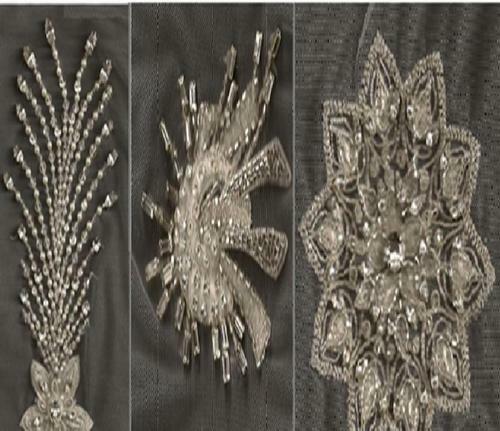 These Floral Brooches are well embroidered with Swarovski crystals & Diamante. We secure raw materials from the most reliable vendors of the industry. To maintain quality throughout our production process, is our ultimate motive. All our manufactured products are in conjunction with international standards of quality. 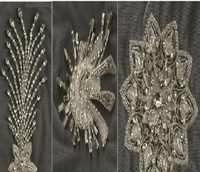 These are the different type of bridal brooches which are made up of very good quality stones, rhinestones, glass beads, Czech & squines. Material Used: Swarovski stones, rhinestones, glass beads, Czech & sequins. 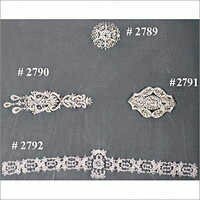 Type: New Style Bridal Trim/ Belt. Minimum order per shipment is USD 200. 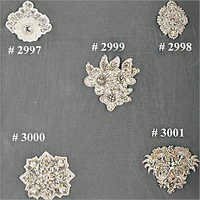 Small Bridal Brooches: 3237, 3238, 3239, 3233. These are the small Bridal Brooches made up of Swarovski stones & with small glass beads, which can match for any occasions. Material Used: Swarovski stones & matching thread.